There are many different types and styles represented in the history of art, but the striving to make an image true to life is among the most enduring. The highly detailed, realistic drawings and paintings of the Old Masters, such as those by Leonardo da Vinci (1452-1519), Raphael (1483-1520), and even Johannes Vermeer (1632-1675), have long been a source of inspiration for artists. The art of the past is admired for its masterful handling of paint and other aesthetic techniques in addition to its subject matter, pictorial formats, and symbolic or allegorical meanings. While some artists strive to replicate—or remake—these famous works, others appropriate only some aspects, combining Old World qualities with their own unique talents to create a style that is new and personal. Titled Contemporary Old Masters, the selection of paintings on view takes a glance at how artists today are responding to Old Master traditions. The twelve artists participating are: Robert Bauer, William Beckman, Alan Feltus, Michèle Fenniak, Paul Fenniak, Linden Frederick, Michael Leonard, Jane Lund, Alyssa Monks, Odd Nerdrum, Wade Schuman, and Guillermo Muñoz Vera. All of these artists are represented by Forum Gallery in New York. Founded in 1961, Forum is well-known in art circles for its long-time support of artists who work in a realist vein. This exhibition is made possible in part by John Turner and Jerry Fischer. 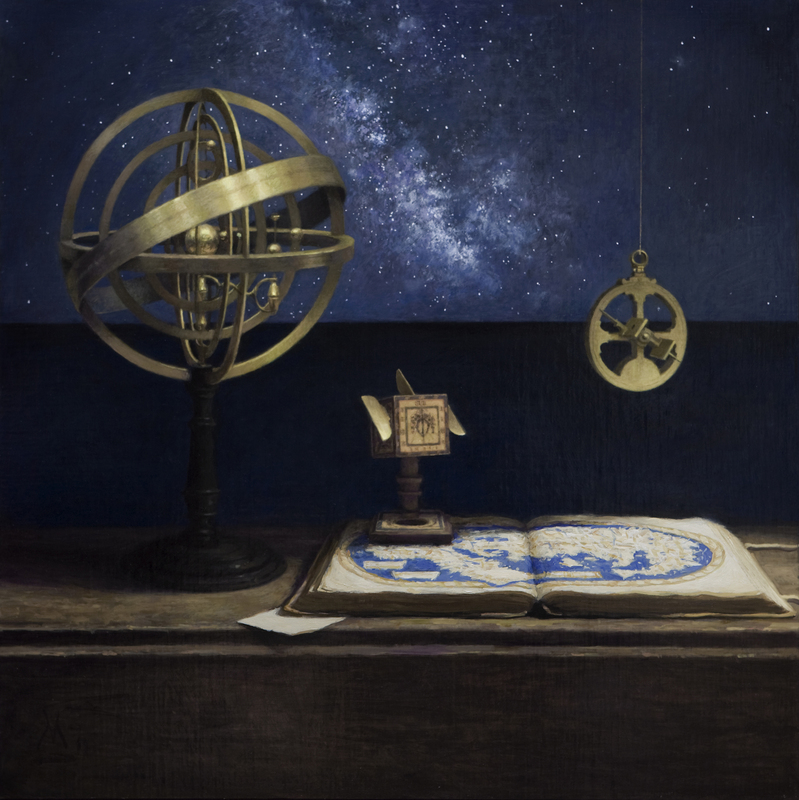 Guillermo Muñoz Vera, "Celestial Navigation," 2011, oil on canvas mounted on panel, 35 1/2 x 35 1/2 inches. 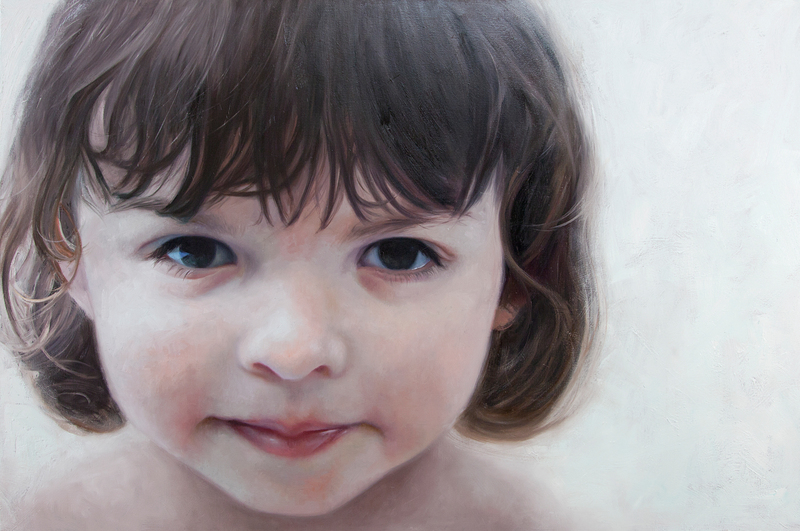 Alyssa Monks, "Hope Rosealyce," 2013, oil on linen, 48 x 72 inches. 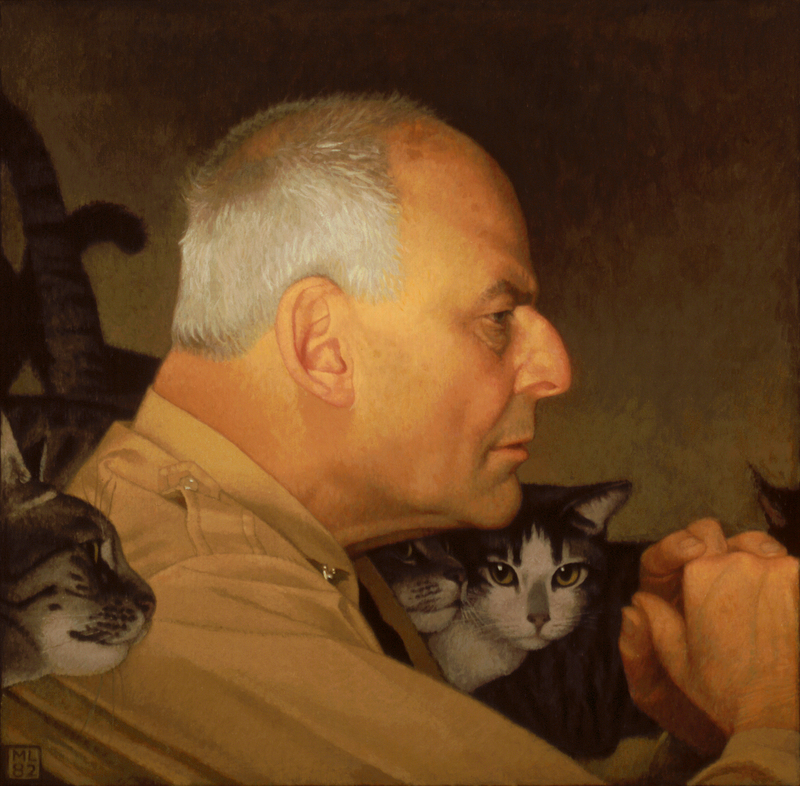 Michael Leonard, "Lincoln Kirstein with Cats," oil on panel, 18 x 18.5 inches.